David Sieders has secured the overall win in Round 3 of the East Coast Bullbars Australian V8 Ute Racing Series at the Coates Hire Ipswich 300 by finishing third and first in today’s two races. The top seven positions were inverted for Race 2, handing Ryal Harris pole following his penalty in Race 1. Harris took advantage of the clear track to take a comprehensive win but Sieders charged from seventh to second; Mason Barbera also made good progress through the field, finishing third after starting ninth. The race was declared two laps early when Ben Dunn spun off the circuit at turn 3. In Race 3, Sieders and Harris staged a race-long battle and were never separated by more than a second. Sieders survived extreme pressure, including some contact at turn 6, to hold on for the race and round victory. The 2016 series winner was elated to return to the top step of the podium after seven months away from racing. “After quite a while out of the driver’s seat, I was concerned I might be a bit rusty but I felt comfortable as soon as I got back in the car,” Sieders said. 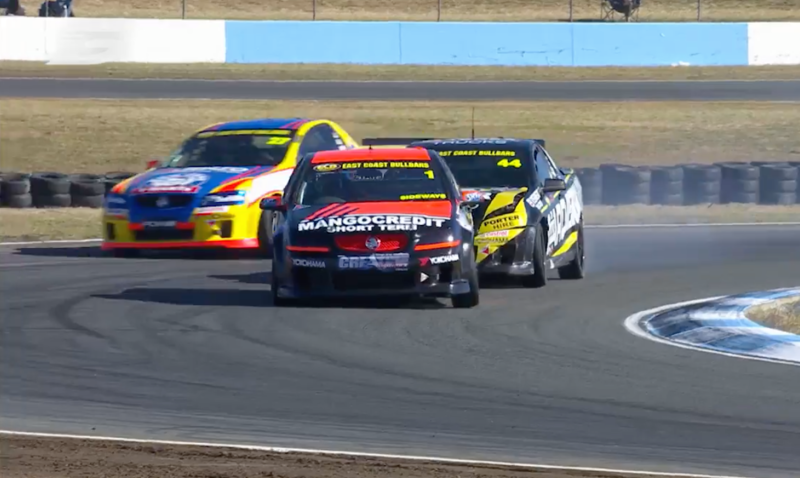 Harris was relieved to finish second for the round after yesterday’s mishap, while Western Sydney Motorsport driver Craig Woods backed up yesterday’s finish with results of sixth and fourth in today’s two races to finish third overall – his first V8 Utes podium finish. “After racing in the Aussie Racing Cars, it’s taken me a while to get my ahead around the V8 Ute because it’s such a different technique, but I feel like I’m learning and improving with every race,” Woods said. Kim Jane finished fourth overall to maintain his series lead, albeit by just six points from Harris. “We didn’t quite have the speed here this weekend,” Jane conceded. The next round of the ECB V8 Ute Racing Series will be held at the Supercheap Auto Bathurst 1000.